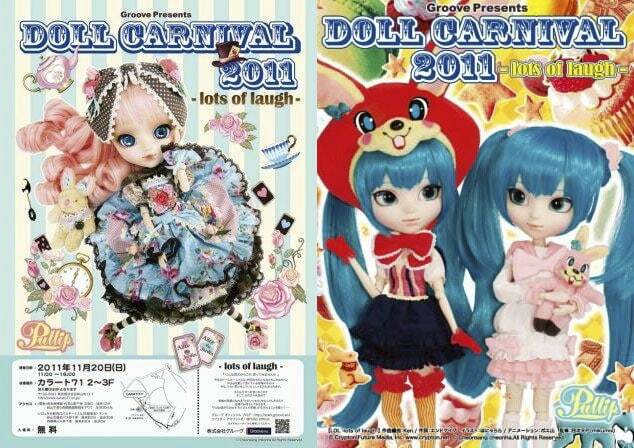 These are the posters that Jun Planning/Groove Inc used to advertise their Doll Carnival and Doll Events! 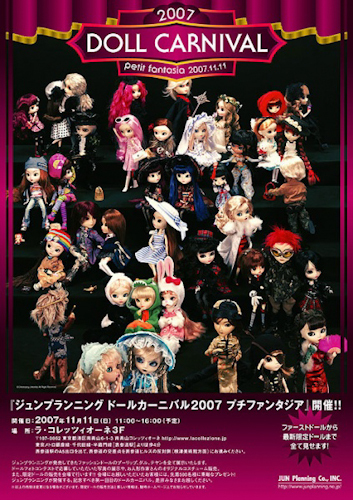 Below are promotional flyers for the We ♥ Pullip event, which was held at the Parco Museum February 2013 to celebrate Pullip's 10th Anniversary! 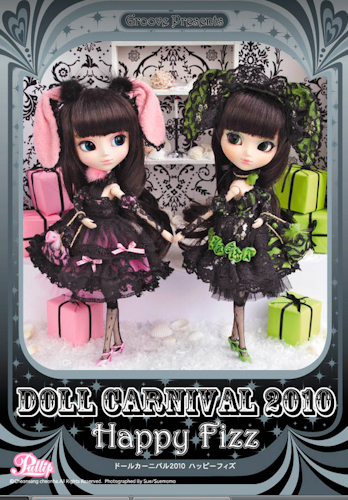 Ars Gratia Artis (AGA), the people who design Pullip dolls, posted this fabulous image which I love to pieces! 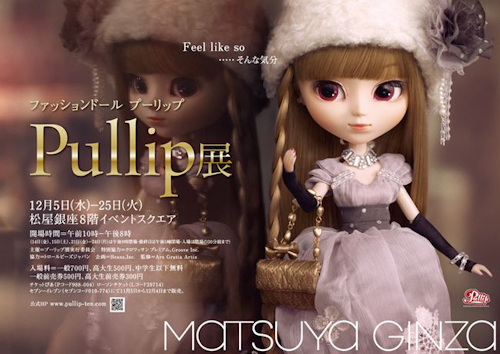 Taeyang looks so sleek and Pullip...well Pullip looks gorgeous as always! 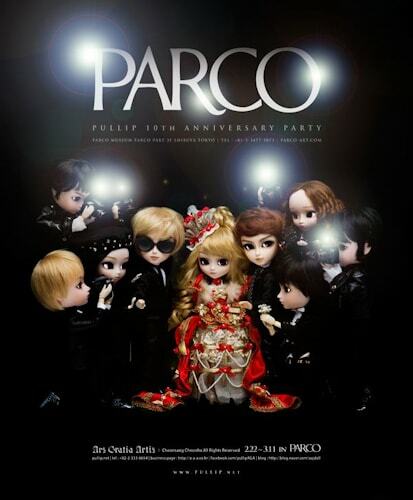 I can't wait for the Parco Event!!! 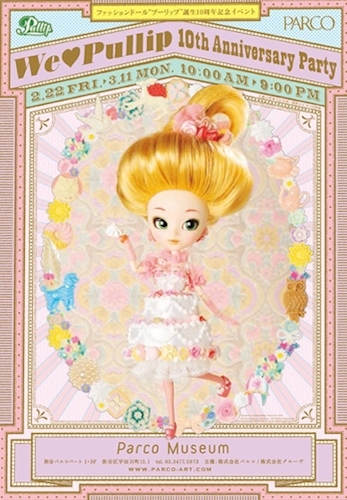 Here is poster for Pullip's 10th Anniversary, featuring Princess Rosalind as the cover model. is she going to be a limited edition? 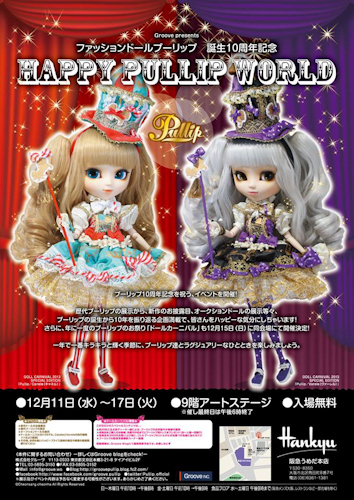 At this time, I haven’t heard or seen any new information regarding Pullip Yoko. what is the parco event? WOW! she is soooo detailed. 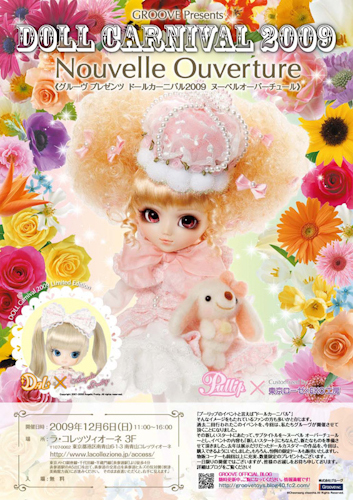 probably the most detailed pullip i’ve seen. she will light up any room. a must have for me.